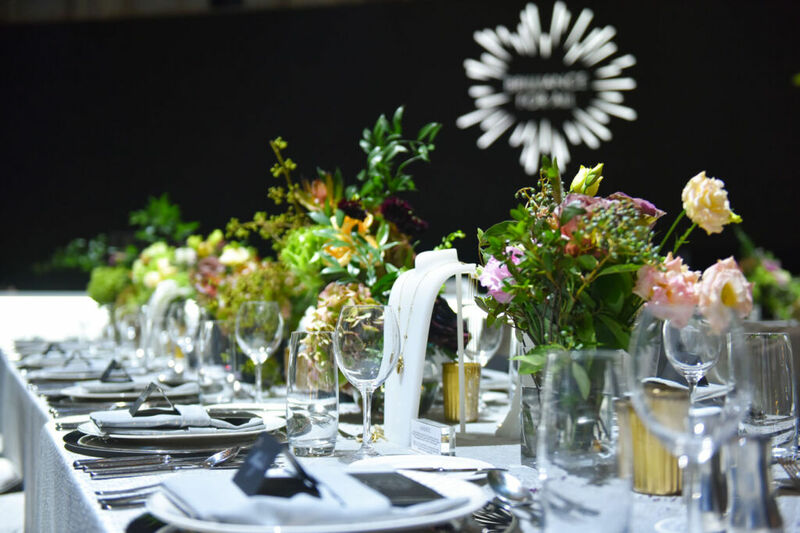 Ong Chin Huat attends the first Swarovski Gala Dinner held in Kuala Lumpur and is taken in by all that sparkle on display. 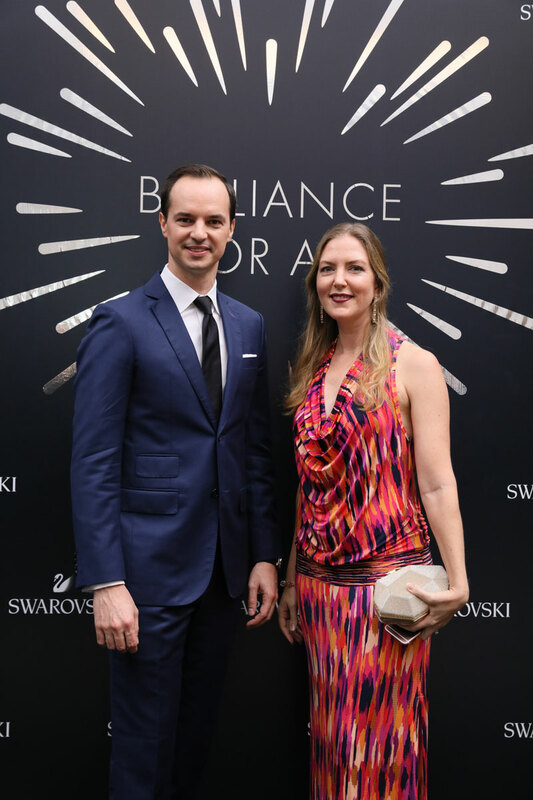 It’s the first time Swarovski has thrown such a glittering event on a grand scale and luckily for KLites, the “Brilliance For All” Gala Dinner was held in the Malaysian capital at the Grand Ballroom of St. Regis Kuala Lumpur. Attended by celebrities, socialites, actresses and the beau monde from around the region, including countries like Thailand, Singapore, Indonesia, Vietnam and the Philippines, this star-studded event also unveiled three of Swarovski’s main jewellery range, namely Swarovski’s Fall/Winter 2018 Couture Collection, Fall/Winter 2018 “Crystal Tales” Collection and Atelier Swarovski Exclusive Collection. Gracing the event was Swarovski’s Creative Director Nathalie Colin who flew in from Paris specially to attend this dinner. Charming everyone present Colin said in her speech that it was her first time to the Malaysian capital and it certainly wasn’t going to be her last! 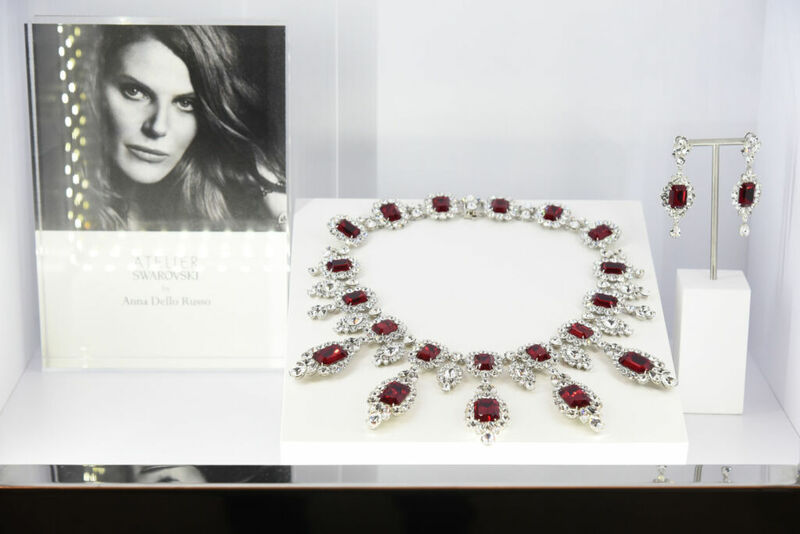 Guests mingled outside the Grand Ballroom and admired Swarovski’s Fall/Winter 2018 “Crystal Tales” Collection which showcased bold cocktail rings, long pendants and ornate bracelets in rich jewel tones. Alongside it, Swarovski Fall/Winter 2018 Couture Collection wowed the guest with its heavily embellished creations utilising crystal jet, hematite and synthetic opal. And if those collections were not enough to impress, Swarovski also exhibited its Atelier Fall/Winter 2018 Collection which elevates crystal into an art form with jewellery, accessories, clutch bags and home décor all decorated with Swarovski signature sparkling crystals as well as collaborations with designers like Peter Pilotto and Mary Katrantzou as well as debut lines of editor and style icon Anna Dello Russo and designer Tabitha Simmons. Guests were also entertained by a Kaleidoscope Photo Booth which created dazzling images of sparkling crystals facets during the cocktail reception. Dining on a delicious menu of Grilled Apple Wood Smoked Duck, French Seafood Bouillabaisse, Organic Heritage Heirloom with US Imported Jumbo Asparagus, Portobello Mushrooms, Raspberry Puree & Trout Pear Caviar, Sous Vide Free Range Chicken Breast stuffed with Forest Mushrooms, Winter Vegetables, Cajun Spice Accordian and Sliced Truffles Potatoes and Caramel Fleur De Sel Sorbet Citron for dessert; the 200 or so lucky guests were treated to a modern dance performance against the backdrop of the 270-degree LED screens which surrounded the entire ballroom showing videos which included one inspired by Swarovski’s ‘Crystal Tales” Fall/Winter 2018 Collection. Malaysian singing sensation Yuna thrilled the guests with her dulcet tones and later DJ Curley spun his turntable and dialled up the volume with his own brand of dance hits. With a 123- year heritage, founder Daniel Swarovski got it right, back in 1895 when he said: “Diamonds are for royalty. 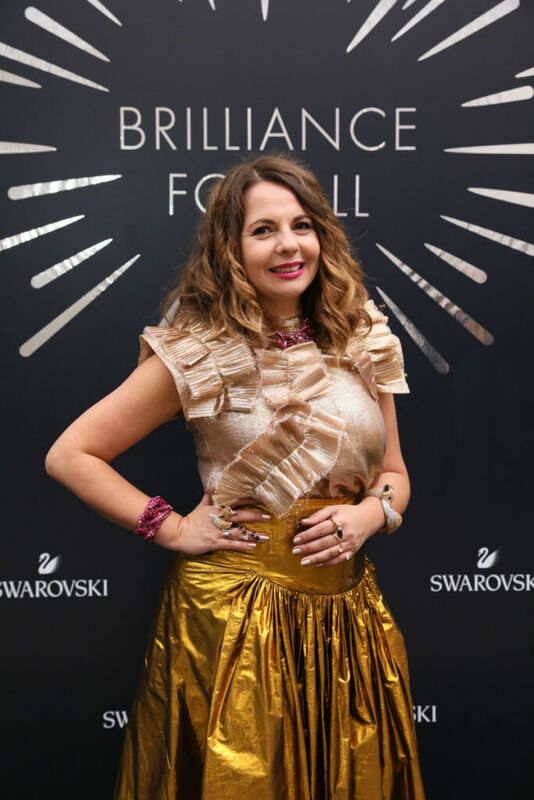 I want to create a diamond for every woman.” And it was “Swarovski’s Brilliant 8 : A Tribute to Women Who Sparkle,” which was the highlight of the evening. Eight multi-faceted women who hail from all over South East Asia and which represents the sparkling spirit of Swarovski – from actresses to entrepreneurs were celebrated for their talent and charm. Among them were Neelofa, Malaysian actress and entrepreneur, “Forbes 30 Under 30” and Friend of Swarovski; Venice Min, Malaysian car racer under 30 and Friend of Swarovski; Nittha Jirayungyurn, leading Thai actress who won “Best Actress” at the 26th Suphannahong National Films Awards in 2017 for her role in the film One Day and Friend of Swarovski; Melissa Koh, influencer extraordinaire from Singapore and fashion entrepreneur with her own brand Run After; Elizabeth Rahajeng, the first Indonesian female host on E! News Asia; Olivia Lazuardy, top Indonesian fashion influencer by Influencer Asia; Marie Lozano, top lifestyle and entertainment journalist in the Philippines; and Nicole Andersson, style icon and regional host on HBO Asia in the Philippines.